You’re invited to sit down with Cheryl Lockhart and figure out a solid game plan for your company’s long-term growth. You bring your industry knowledge, most ambitious dreams and greatest concerns. She’ll bring her strategic expertise, depth of experience and trusty tool kit. Your company’s ultimate success depends on developing a comprehensive strategy based on a clear understanding of your situation in the market. Cheryl Lockhart believes that follow through–all the way to the end–combined with flexibility along the way, is the key to enduring success. Cheryl’s been through this process many times before with many diverse clients, so she understands the dynamics involved. Over her career, she’s helped leaders successfully apply these core principles to industries ranging from agriculture to manufacturing, from consumer products to professional services. Cheryl will walk you through a set a proven steps to determine just where your company is now, what the state of your market is, and where the best opportunities for growth lie. 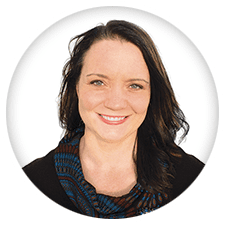 She’ll challenge your assumptions and beliefs, so you can start thinking about your business in fresh, new ways. Her international experience will help give you a global perspective. Together, you’ll create a game plan that is realistic, achievable and can generate the type of results you want for your business. But Cheryl won’t stop there. She’ll play an active role in implementing the plan, which will include any needed course corrections and a kick-start if you get off track. Beyond strategy and implementation, Cheryl can also help your company through business coaching, export development, feasibility studies and marketing plans.